So I’m finally back from tall the wedding festivities and the honeymoon, and it’s back to business! This fall will be all about shooting and teaching landscape photography. 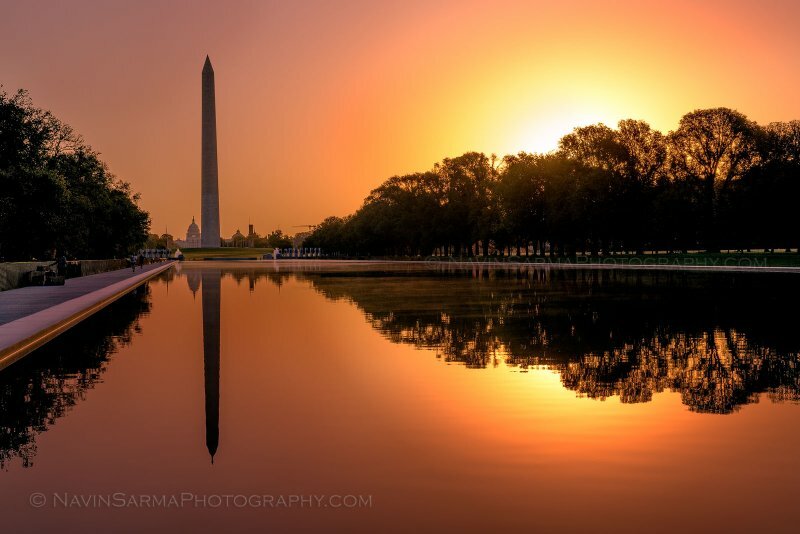 This morning I conducted another sunrise Washington DC landscape photography workshop, this time at the National Mall: the Lincoln Memorial, Reflecting Pool, and Washington Monument. I was hoping for a bit more fall color, but it hasn’t peaked yet all around the city. More to come, with another workshop tomorrow! In awe of your photography. Absolutely Magnificent! Hey Navin amazing photographs!! I like it so much. Recently, I visited the Lincoln Memorial and was a fascinating experience. The Lincoln Memorial is definitely historical and tribute to Abraham Lincoln, the 16th President of the United States. Greek Doric design of the museum is really fascinating. The memorial itself is cool and awesome. Resources like http://www.historicalplacesinamerica.com/the-lincoln-memorial have maintain all the information about this marvelous place.